I use Nature's Way Ginger Root whenever my stomach feels a little queasy or if I have indigestion. Started with 2 a day and went to 3. 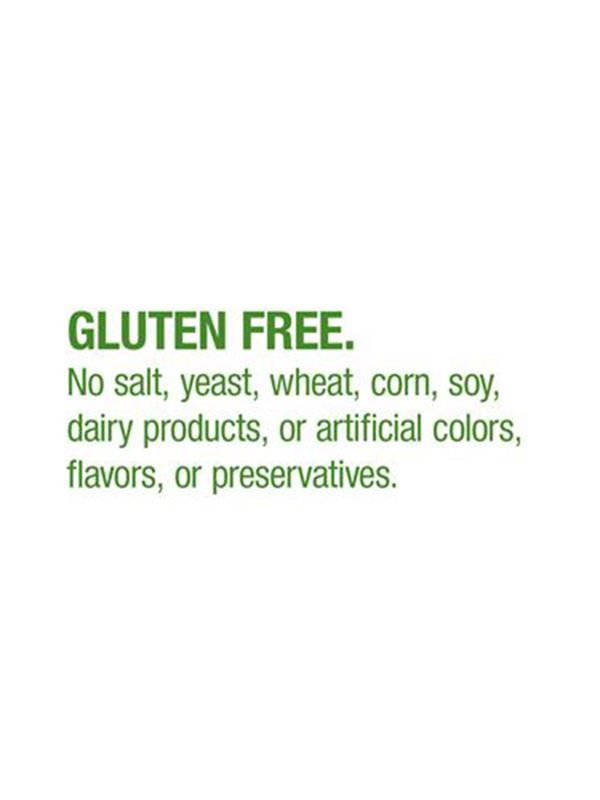 Nature's Way Ginger Root really helps with all kinds of food issues and stomach problems. 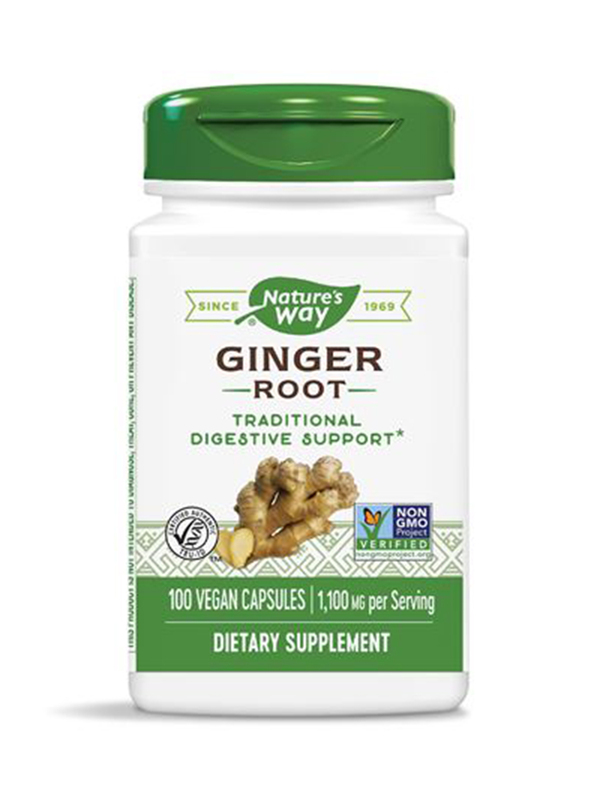 Experience sound stomach and intestinal health and boost your appetite with Ginger Root 550 mg - 100 Capsules from Nature’s Way®. Being a rhizome with pungent and spicy taste‚ ginger root may soothe gastrointestinal conditions. Ginger appears to be a wonderful carminative since it helps in expelling gas from the intestines. It helps soothe the intestinal tract too and curb inflammatory conditions. 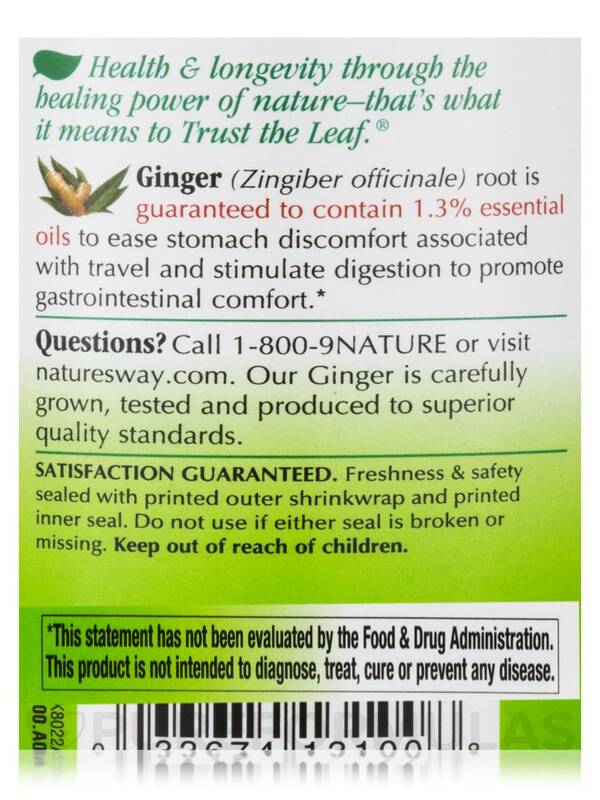 Reducing GI distress‚ ginger root helps control motion sickness‚ nausea‚ vomiting and wooziness. 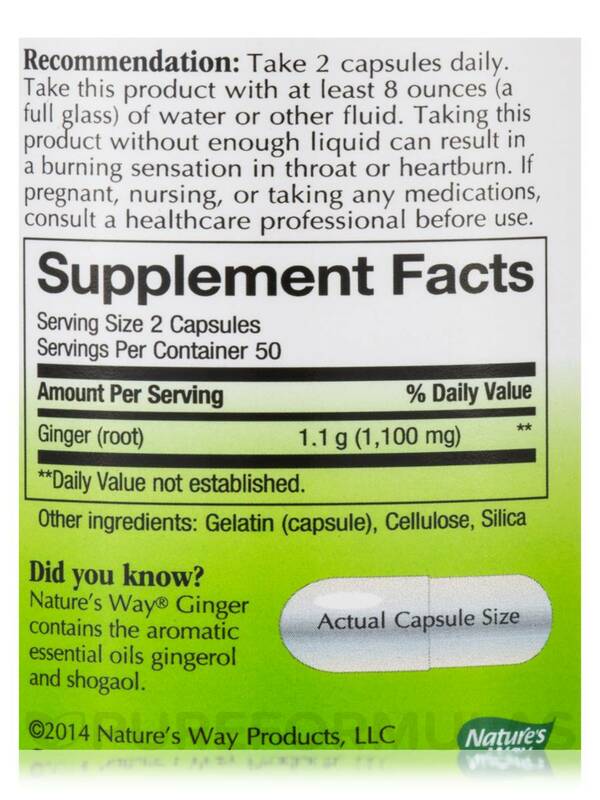 Ginger root extract from Nature’s Way® may provide relief from pregnancy related nausea and vomiting. However‚ it is best to consult your healthcare professional before beginning to use this supplement. Gingerols are anti-inflammatory compounds present in ginger and these may improve joint conditions. With laxative effects‚ ginger may often find use in antacid medicines. Research indicates that ginger may promote assimilation and absorption of nutrients in the body. Relieve muscle spasms post workout with Ginger Root 550 mg - 100 Capsules from Nature’s Way® and it may have many more therapeutic benefits for your body. Been taking Nature's Way Ginger Root for years. It helps with indigestion. It works and is a good value for the price. My BF has serious issues with his stomach. If he eats or drinks too much spicy, caffeine foods, he gets really sick to his stomach. I make him take at least 2 pills before he's off to work. now it says you can take it up to 3 times a day. but, he seems to do good on just 2 pills per day. It does take at least a few weeks to starts working. REALLY helps with stomach discomfort! Inexpensive and easy to take. 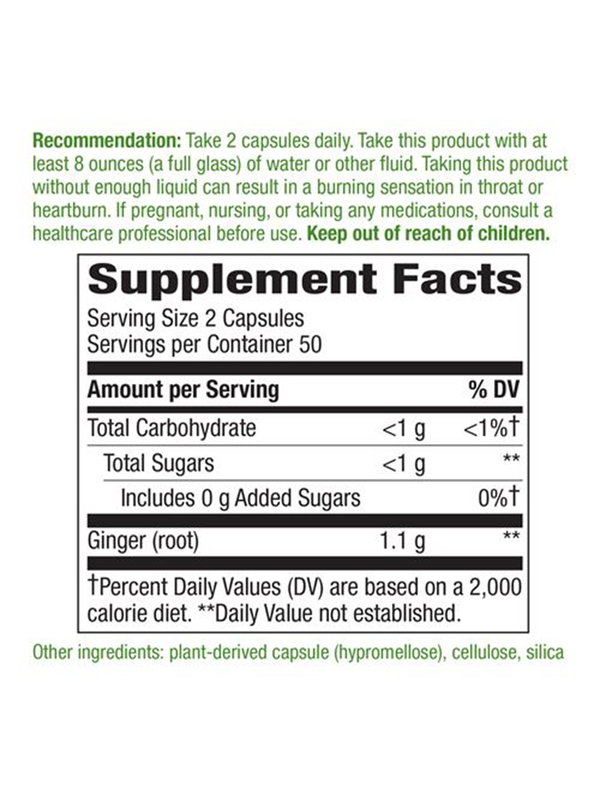 Ginger Root is great for when I get acid reflux chest/heart burn. Works every time I use it. 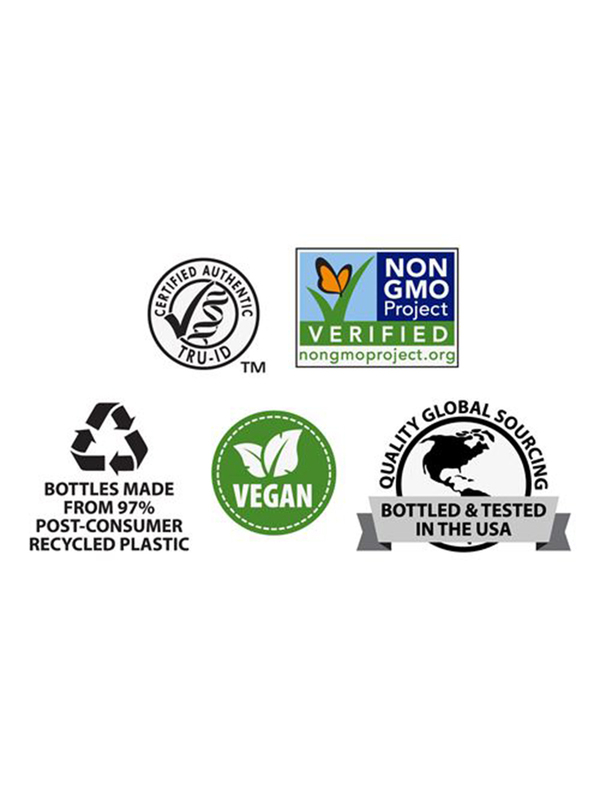 Fast and free shipping from Pureformulas.com!